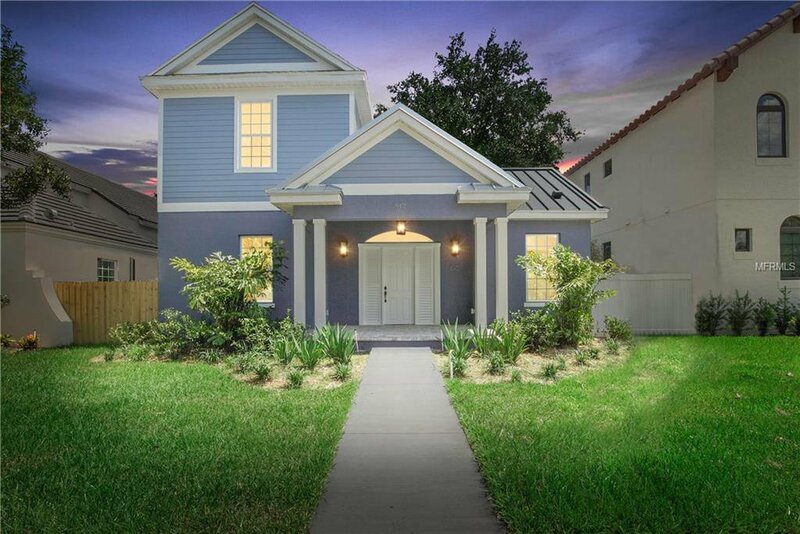 Brand new home, just steps from one of St. Pete's most sought after park, Crescent Lake Park, from one of St. Pete's premier home builders. One of a kind design brings in the history of the brick streets, with a modern touch. This home truly has it all, detached office or guest suite, with a full bathroom, to go along with the 4 bedrooms, 3.5 bathrooms and bonus room in the main house. Hardwood flooring, solid stone counter-tops, high-end stainless steel appliances are just a few of the top notch features throughout. Soaring ceilings in the great room and kitchen, master bedroom downstairs separate from the other 3 bedrooms. This home is perfect for entertaining inside or outside! No attention to detail was overlooked. Walk to the lake & park with a 1 mile running loop, brand new playground, tennis courts and much more! Listing courtesy of PARK PROPERTY GROUP. Selling Office: CENTURY 21 JIM WHITE & ASSOC.